The garage door contractor in Los Gatos offers great commercial and residential garage door service in California. 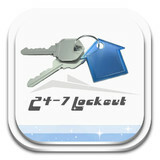 It installs new doors and repairs all garage door parts. At KJ's Garage Door Repair, we have built our stellar reputation in the local community for quality garage door repairs and installations. Whether you need a simple repair of basic parts, a new garage door opener or a total replacement garage door, we are your full-service garage door Repair and Installation Company! KJ's Garage Door repair is locally owned and operated in San Jose, CA and we are fully licensed, bonded and insured. All of our technicians are highly skilled and very proficient with all aspects of the work they do. We take any work we do seriously, offer top-notch customer service, high quality products and a job that is done right the first time! What types of garage door service tasks do contractors in Union City, CA provide? A damaged garage door can lead to increased security risk, ruined belongings and an unpleasant exterior, so look for Union City, CA repair professionals who provide same-day or emergency services if the damage is extensive and poses a potential health and safety risk. Find Union City, CA garage door repair professionals on Houzz. Narrow your search for garage door repair professionals by selecting the nearest city or zip code. Look at portfolio and product photos, and read reviews to find the best garage door contractors in Union City, CA for your home.